Getting into shape, or staying in shape, when you have a super busy schedule can be more difficult than many people think. 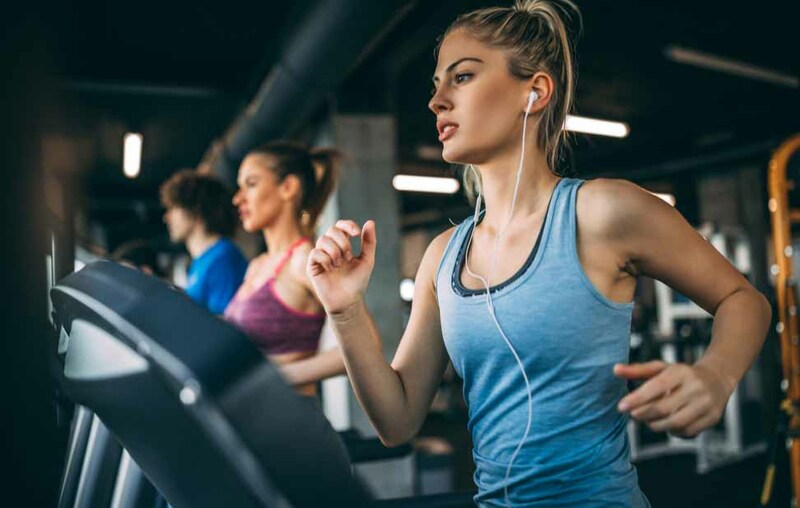 With commitments coming from every direction, it’s hard to find enough time to drive to the local fitness center, let alone to find enough time for a great workout once you get there. 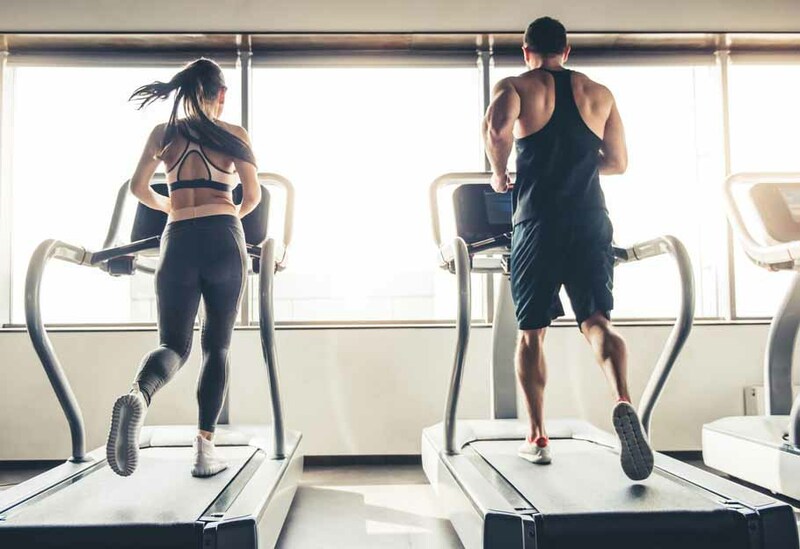 If you’ve been struggling to make exercise a part of your daily routine, the Sole F63 Treadmill (2019 Model) could be the home exercise alternative you’ve been waiting for. Sole is a company that is well known for making some great fitness equipment available at very affordable prices. With the introduction of the Sole F63 Treadmill, they’ve raised the bar on home treadmill quality. The F63’s console includes a vibrant 6.5-inch LCD display and an integrated sound system. Who says you need a personal trainer to put together great fitness routines. The Sole F63 Treadmill comes with 6 different fitness programs built into the on-board computer. That means that you’ll never have to struggle to come up with a new routine, or run the same course every day. The addition of more intensity in some sections and less in others lets you get in a high intensity interval workout whenever the mood strikes you. Since it’s important to have variety in your workouts, the availability of these different programs is important to help you stay motivated and challenged.  Entry-level folding treadmill with 2.5-horsepower continuous-duty motor, means that you can get in long or short workouts without stressing the treadmill at all.  6.5 inch LCD screen integrates with speakers, so you can listen to your favorite tunes while working out.  6 built in workouts and 2 slots for custom workouts to add variety to your workout schedule.  Shock absorption system is built in to make workouts less noisy and easier on your body. The Sole F63 Treadmill is going to be the perfect fit for some, while others may decide to buy a different treadmill. We understand that, so our treadmill review will touch on the pros and cons of this model. After all, no product is perfect for everyone, so it helps to know the strengths and weaknesses of a particular exercise machine before you buy it.  Great for Aerobic Workouts at Home. The Sole F63 Treadmill helps you to get a high intensity, aerobic workout in your own home. If you’re looking to improve cardiovascular health or simply to lose some weight, this is the kind of machine you need to use to get great results.  Cool LCD Screen & Electronic Options. This is a modern treadmill, so it’s decked out with some helpful electronic features that help you to enjoy your workouts and track your progress.  Foldable Design. Since the Sole F63 Treadmill folds up when not in use, it’s great for homes with limited space. When you aren’t using the treadmill, you can fold it up and have some extra room.  Assembly Takes Some Time. It typically takes customers about 2 hours to assemble this unit. Some people can do it quicker, and assembly isn’t complicated, but buyers should be prepared to put this together when it arrives.  Limited Workouts. Even though there are 6 built in workout modes, that may not be enough for advanced exercise enthusiasts. 6 will work great for basic workouts, but seasoned runners may not find enough challenges to keep themselves motivated. If you go to any fitness center or health club today, you’ll see lots of cardio equipment. People are realizing just how important it is to include cardiovascular exercise in their workout routines. You don’t have to go to a gym, though, if you have the Sole F63 Treadmill in your home. This model is going to give you the exact same workout that you would get at a health club, and it is a one time payment. When you sign up at a local gym, you’ll pay monthly payments. And some even try to get you to sign a contract for several years. Who needs that kind of commitment? With the Sole F63 Treadmill you’ll have the freedom to exercise when you want for as long as you want. You’ll never have to wait in line to exercise or deal with inpatient club members waiting in line for you to finish your workout. Who Should Buy the Sole F63 Treadmill? Advanced runners and athletes may not consider this treadmill challenging enough, and that is understandable. For everyone else interested in staying in shape, though, it’s a perfect choice. The built in workouts will give you plenty of challenges for years to come. Being able to workout according to your own schedule, without the hassle of going to the gym, is another great reason to buy this treadmill. We all need to exercise. It’s so easy today to overlook the importance of staying in shape, and many people simply don’t have the time to go to a health club to work out. With the Sole F63 Treadmill in your home, you have your own, personal health club, and you’re the most important member. If you feel like working out late at night, or early in the morning, you can, because you’re not subject to any gym schedule at all. Don’t let another day go by without taking action on your fitness plans. Get the Sole F63 Treadmill in your home and start to use it regularly. Before you know it, you could be in the best shape of your life.